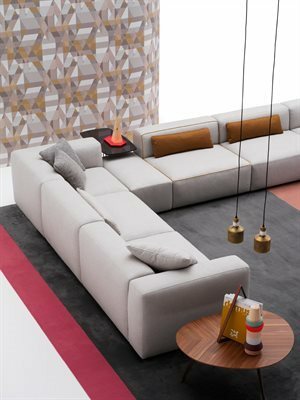 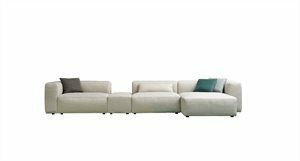 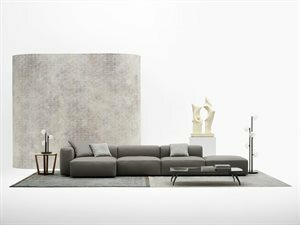 Alcazar is a contemporary and versatile collection of sofas characterized by important sizes, along with a calibrated proportion of the various parts. 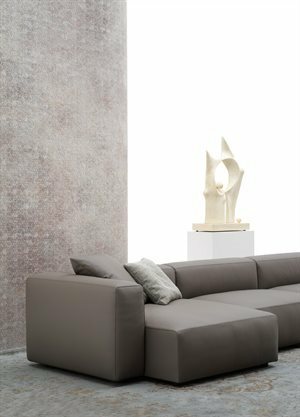 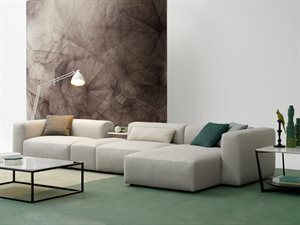 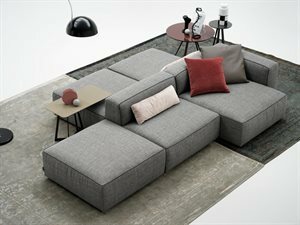 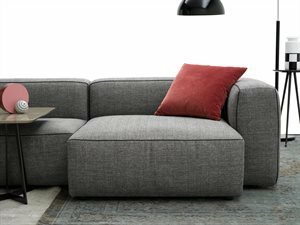 Whether it be the linear or the modular composition, this sofa structure starts from a solid base formed by padded elements that rest on the ground and is distinguished by its formal continuity between seat, armrest and backrest. 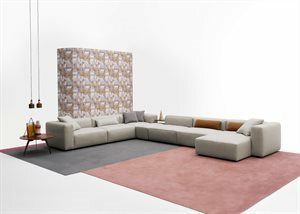 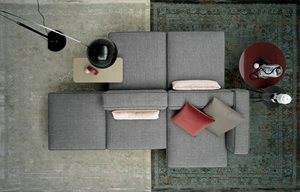 Alcazar is a family of infinite modular elements: an idea of a sofa considered as an island of relaxation where to live freely. 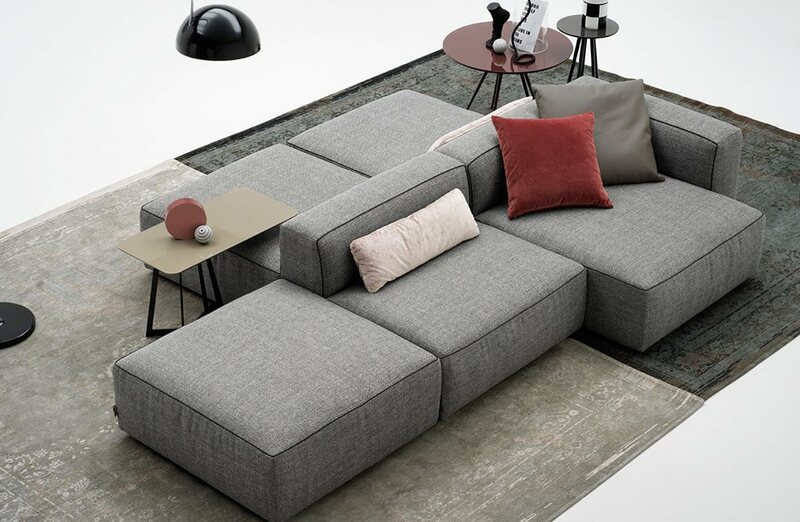 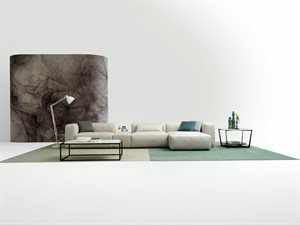 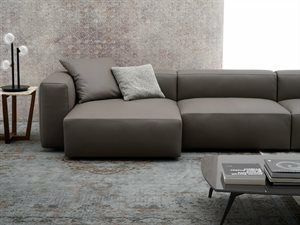 A sofa that finds its full expression in an ample modularity while giving life to original solutions that are suitable for both domestic living and large common areas and for the contract sector.